Michaela Aschan is Professor in Fisheries Biology and Management at UiT, the Arctic University of Norway, and has a Ph.D. in Ecology from the University of Helsinki, including additional training in statistics, geography and philosophy. She has served as the Vice Dan with responsibility for science activities at the Faculty of Biosciences, Fisheries and Economics. This involves science strategic planning at the UiT level, overall responsibility for the PhD-education programme at the Faculty as a central role in the Faculty lead. This experience has given her leadership opportunities and training as well as the opportunity to assemble multidisciplinary teams for solving new scientific challenges. Her research covers a wide range of scientific areas including stock assessment and population biology of shellfish; fish and benthic communities; sampling design; bio-economic aspects of fisheries regulation and management; and climate induced changes in the marine ecosystem. 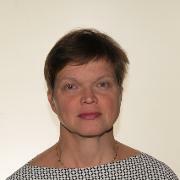 She has wide experience from national projects, EU projects, other international projects as well as ICES Working Group leadership and participation and Marine Stewardship Council (MSC) certification. Kortsch, Susanne; Primicerio, Raul; Aschan, Michaela; Lind, Sigrid; Dolgov, Andrey V.; Planque, Benjamin. Food-web structure varies along environmental gradients in a high-latitude marine ecosystem. Ecography 2019; Volum 42 (2). ISSN 0906-7590.s 295 - 308.s doi: 10.1111/ecog.03443. Nielsen, Kåre Nolde; Aschan, Michaela; Agnarsson, Sveinn; Ballesteros, Marta; Baudron, Alan; Borges, Maria de Fatima; Campos, Aida; Chapela, Rosa; Daníelsdóttir, Anna Kristin; Erzini, Karim; Gregersen, Olavur; Holm, Petter; Lucchetti, Alessandro; Margeirsson, Sveinn; Mendes, Hugo Vilela; Olsen, Petter; Rangel, Mafalda; Sala, Antonello; Santiago, José Luis; Sigurdardottir, Sigridur; Silva, Cristina; Sykes, Daryl; Vidarsson, Jonas Runar; Virgili, Massimo; Wise, Laura; Fernandes, Paul George. A framework for results-based management in fisheries. Fish and Fisheries 2018; Volum 19 (2). ISSN 1467-2960.s 363 - 376.s doi: 10.1111/faf.12257. Aune, Magnus; Aschan, Michaela; Greenacre, Michael; Dolgov, Andrey V.; Fossheim, Maria; Primicerio, Raul. Functional roles and redundancy of demersal Barents Sea fish: Ecological implications of environmental change. PLoS ONE 2018; Volum 13 (11). ISSN 1932-6203.s e0207451 - .s doi: 10.1371/journal.pone.0207451. Aaron-Morrison, Arlene P.; Ackerman, Steven A; Adams, Nicolaus G; Adler, Robert F; Albanil, Adelina; Alfaro, EJ; Allan, Rob; Alves, Lincoln M; Amador, Jorge A; Andreassen, Liss Marie; Arendt, A; Arevalo, Juan; Arndt, Derek S; Arzhanova, NM; Aschan, Michaela; Azorin-Molina, Cesar; Banzon, Viva; Bardin, MU; Barichivich, Jonathan; Baringer, Molly O; Barreira, Sandra; Baxter, Stephen; Bazo, Juan; Becker, Andreas; Bedka, Kristopher M; Behrenfeld, Michael J; Bell, Gerald D; Belmont, M; Benedetti, Angela; Bernhard, G; Berrisford, Paul; Berry, David I; Bettolli, Maria L; Bhatt, US; Bidegain, Mario; Bill, Brian D; Billheimer, Sam; Bissolli, Peter; Blake, Eric S; Blunden, Jessica; Bosilovich, Michael G; Boucher, Olivier; Boudet, Dagne; Box, JE; Boyer, Tim; Braathen, Geir O; Bromwich, David H; Brown, R; Bulygina, Olga N; Burgess, D; Calderon, Blanca; Camargo, Suzana J; Campbell, Jayaka D; Cappelen, J; Carrasco, Gualberto; Carter, Brendan R; Chambers, Don P; Chandler, Elise; Christiansen, Hanne H; Christy, John R; Chung, Daniel; Chung, ES; Cinque, Kathy; Clem, Kyle R; Coelho, Caio A; Cogley, JG; Coldewey-Egbers, Melanie; Colwell, Steve; Cooper, Owen R; Copland, L; Cosca, Catherine E; Cross, Jessica N; Crotwell, Molly J; Crouch, Jake; Davis, Sean M; De Eyto, Elvira; De Jeu, Richard A M; De Laat, Jos; Degasperi, Curtis L; Degenstein, Doug; Demircan, M; Derksen, C; Destin, Dale; Di Girolamo, Larry; Di Giuseppe, F; Diamond, Howard J; Dlugokencky, Ed J; Dohan, Kathleen; Dokulil, Martin T; Dolgov, AV; Dolman, A Johannes; Domingues, Catia M; Donat, Markus G; Dong, Shenfu; Dorigo, Wouter A; Dortch, Quay; Doucette, Greg; Drozdov, DS; Ducklow, Hugh; Dunn, Robert J H; Duran-Quesada, Ana M; Dutton, Geoff S; Ebrahim, A; Elkharrim, M; Elkins, James W; Espinoza, Jhan C; Etienne-Leblanc, Sheryl; Evans, Thomas E; Famiglietti, James S; Farrell, S; Fateh, S; Fausto, Robert S; Fedaeff, Nava; Feely, Richard A; Feng, Z; Fenimore, Chris; Fettweis, X; Fioletov, Vitali E; Flemming, Johannes; Fogarty, Chris T; Fogt, Ryan L; Folland, Chris; Fonseca, C; Fossheim, Maria; Foster, Michael J; Fountain, Andrew; Francis, SD; Franz, Bryan A; Frey, Richard A; Frith, Stacey M; Froidevaux, Lucien; Ganter, Catherine; Garzoli, Silvia; Gerland, S; Gobron, Nadine; Goldenberg, Stanley B; Gomez, R Sorbonne; Goni, Gustavo; Goto, A; Grooß, JU; Gruber, Alexander; Guard, Charles Chip; Gugliemin, Mauro; Gupta, SK; Gutierrez, JM; Hagos, S; Hahn, Sebastian; Haimberger, Leo; Hakkarainen, J; Hall, Brad D; Halpert, Michael S; Hamlington, Benjamin D; Hanna, E; Hansen, K; Hanssen-Bauer, Inger; Harris, Ian; Heidinger, Andrew K; Heikkilä, A; Heil, A; Heim, Richard R; Hendricks, S; Hernandez, Marieta; Hidalgo, Hugo G; Hilburn, Kyle; Ho, Shu-Peng Ben; Holmes, RM; Hu, Zeng-Zhen; Huang, Boyin; Huelsing, Hannah K; Huffman, George J; Hughes, C; Hurst, Dale F; Ialongo, I; Ijampy, JA; Ingvaldsen, Randi Brunvær; Inness, Antje; Isaksen, Ketil; Ishii, Masayoshi; Jevrejeva, Svetlana; Jimenez, C; Jin, Xiangze; Johannesen, Edda; John, Viju; Johnsen, Bjørg; Johnson, Bryan; Johnson, Gregory C; Jones, Philip D; Joseph, Annie C; Jumaux, Guillaume; Kabidi, Khadija; Kaiser, Johannes W; Kato, Seiji; Kazemi, A; Keller, Linda M; Kendon, Mike; Kennedy, John; Kerr, Kenneth; Kholodov, AL; Khoshkam, Mahbobeh; Killick, Rachel; Kim, Hyungjun; Kim, SJ; Kimberlain, Todd B; Klotzbach, Philip J; Knaff, John A; Kobayashi, Shinya; Kohler, Jack; Korhonen, Johanna; Korshunova, Natalia N; Kovacs, Kit; Kramarova, Natalya; Kratz, DP; Kruger, Andries; Kruk, Michael C; Kudela, Raphael; Kumar, Arun; Lakatos, M; Lakkala, K; Lander, Mark A; Landsea, Chris W; Lankhorst, Matthias; Lantz, Kathleen; Lazzara, Matthew A; Lemons, P; Leuliette, Eric; L'Heureux, Michelle; Lieser, Jan L; Lin, II; Liu, Hongxing; Liu, Yinghui; Locarnini, Ricardo; Loeb, Norman G; Lo Monaco, Claire; Long, Craig S; Lopez Alvarez, Luis Alfonso; Lorrey, Andrew M; Loyola, Diego; Lumpkin, Rick; Luo, Jing-Jia; Luojus, K; Lydersen, Christian; Lyman, John M; Maberly, Stephen C. State of the climate in 2015. Bulletin of The American Meteorological Society - (BAMS) 2016; Volum 97 (8). ISSN 0003-0007.s S1 - S275.s doi: 10.1175/2016BAMSStateoftheClimate.1. Nielsen, Kåre Nolde; Holm, Petter; Aschan, Michaela. Results based management in fisheries: Delegating responsibility to resource users. Marine Policy 2015; Volum 51. ISSN 0308-597X.s 442 - 451.s doi: 10.1016/j.marpol.2014.10.007. Primicerio, Raul; Fossheim, Maria; Jørgensen, Lis Lindal; Johannesen, Edda; Wiedmann, Magnus Aune; Kortsch, Susanne; Aschan, Michaela. Barents Sea ecosystem vulnerability. (fulltekst) 2015 (032) ISBN 978-82-7666-318-1. ISSN 1504-3215.s 76 - 78. Kortsch, Susanne; Primicerio, Raul; Fossheim, Maria; Dolgov, Andrey V.; Aschan, Michaela. Climate change alters the structure of arctic marine food webs due to poleward shifts of boreal generalists. Proceedings of the Royal Society of London. Biological Sciences 2015; Volum 282 (1814). ISSN 0962-8452.s doi: 10.1098/rspb.2015.1546. Fossheim, Maria; Primicerio, Raul; Johannesen, Edda; Ingvaldsen, Randi; Aschan, Michaela; Dolgov, Andrey. Recent warming leads to a rapid borealization of fish communities in the Arctic. Nature Climate Change 2015; Volum 5. ISSN 1758-678X.s 673 - 677.s doi: 10.1038/nclimate2647. Wiedmann, Magnus Aune; Aschan, Michaela; Certain, Gregoire; Dolgov, Andrey V.; Greenacre, Michael; Johannesen, Edda; Planque, Benjamin; Primicerio, Raul. Functional diversity of the Barents Sea fish community. Marine Ecology Progress Series 2014; Volum 495. ISSN 0171-8630.s 205 - 218.s doi: 10.3354/meps10558. Wiedmann, Magnus Aune; Primicerio, Raul; Dolgov, Andrey; Ottesen, Camilla; Aschan, Michaela. Life history variation in Barents Sea fish: implications for sensitivity to fishing in a changing environment. Ecology and Evolution 2014; Volum 4 (18). ISSN 2045-7758.s 3596 - 3611.s doi: 10.1002/ece3.1203. Haug, Tore; Aschan, Michaela; Hoel, Alf Håkon; Johansen, Torild; Sundet, Jan Henry. Introduction: Marine harvesting in the Arctic. ICES Journal of Marine Science 2014; Volum 71 (7). ISSN 1054-3139.s 1932 - 1933.s doi: 10.1093/icesjms/fsu072. Planque, Benjamin; Primicerio, Raul; Michalsen, Kathrine; Aschan, Michaela; Certain, Gregoire; Dalpadado, Padmini; Gjøsæter, Harald; Hansen, Cecilie; Johannesen, Edda; Jørgensen, Lis Lindal; Kolsum, Ina; Kortsch, Susanne; Leclerc, Lise-Marie; Omli, Lena; Skern-Mauritzen, Mette; Wiedmann, Magnus Aune. Who eats whom in the Barents Sea: a foodweb topology from plankton to whales. Ecology 2014; Volum 95 (5). ISSN 0012-9658.s 1430 - 1430.s doi: 10.1890/13-1062.1. Aschan, Michaela; Fossheim, Maria; Greenacre, Michael; Primicerio, Raul. Change in Fish Community Structure in the Barents Sea. PLoS ONE 2013; Volum 8 (4). ISSN 1932-6203.s doi: 10.1371/journal.pone.0062748. Rasmussen, Tone; Aschan, Michaela. Larval stages of Pandalus borealis. Marine Biology Research 2011; Volum 7 (2). ISSN 1745-1000.s 109 - 121.s doi: 10.1080/17451001003764004. Olsen, Petter; Aschan, Michaela. Reference method for analyzing material flow, information flow and information loss in food supply chains. Trends in Food Science & Technology 2010; Volum 21 (6). ISSN 0924-2244.s 313 - 320.s doi: 10.1016/j.tifs.2010.03.002. Aschan, Michaela; Karamushko, Oleg V.; Byrkjedal, Ingvar; Wienerroither, Rupert; Borkin, Igor V.; Christiansen, Jørgen Schou. Records of the gadoid fish Arctogadus glacialis (Peters, 1874) in the European Arctic. Polar Biology 2009; Volum 32 (7). ISSN 0722-4060.s 963 - 970.s doi: 10.1007/s00300-009-0595-4. Nilssen, Einar Magnus; Aschan, Michaela. Catch, survey and life-history data for shrimp (Pandalus borealis) off Jan Mayen. Deep-sea research. Part II, Topical studies in oceanography 2009; Volum 56 (21-22). ISSN 0967-0645.s 2023 - 2036.s doi: 10.1016/j.dsr2.2008.11.013. Koeller, P; Fuentes-Yaco, C; Platt, T; Sathyendranath, S; Richards, A; Ouellet, P; Orr, D; Skuladottir, U; Wieland, K; Savard, L; Aschan, Michaela. Basin-Scale Coherence in Phenology of Shrimps and Phytoplankton in the North Atlantic Ocean. Science 2009; Volum 324 (5928). ISSN 0036-8075.s 791 - 793.s doi: 10.1126/science.1170987. Aschan, Michaela; Ingvaldsen, Randi. Recruitment of shrimp (Pandalus borealis) in the Barents Sea related to spawning stock and environment. Deep-sea research. Part II, Topical studies in oceanography 2009; Volum 56 (21-22). ISSN 0967-0645.s 2012 - 2022.s doi: 10.1016/j.dsr2.2008.11.012. Helle, Kristin; Aschan, Michaela; Williams, Thomas. The distribution of chondrichthyans along the northern coast of Norway. ICES Journal of Marine Science 2008; Volum 65. ISSN 1054-3139.s 1161 - 1174.s doi: 10.1093/icesjms/fsn103. Martinez, iciar; Aschan, Michaela; Skjerdal, Taran; Aljanabi, Salah. The genetic structure of Pandalus borealis in the Northeast Atlantic determined by RAPD analysis. ICES Journal of Marine Science 2006; Volum 63. ISSN 1054-3139.s 840 - 850.s doi: 10.1016/j.icesjms.2006.03.006. Pedersen, Ole Petter; Aschan, Michaela; Rasmussen, T; Tande, Kurt Steinar; Slagstad, Dag. Larval dispersal and mother populations of Pandalus borealis investigated by a Lagrangian particle-tracking model. Fisheries Research 2003; Volum 65. ISSN 0165-7836.s 173 - 190.s doi: 10.1016/j.fishres.2003.09.014. Hansen, Hege Øverbø; Aschan, Michaela. Growth Performance, Size and Age-at-maturity of Shrimp, Pandalus borealis, at Svalbard Related to Environmental Parameters. (fulltekst) Journal of Northwest Atlantic Fishery Science 2000; Volum 27 (1). ISSN 0250-6408.s 83 - 91.s doi: 10.2960/J.v27.a8. Drengstig, Asbjørn; Fevolden, Svein-Erik; Galand, Pierre E; Aschan, Michaela. Population structure of the deep-sea shrimp (Pandalus borealis) in the north-east Atlantic based on allozyme variation. Aquatic Living Resources 2000; Volum 13 (2). ISSN 0990-7440.s 121 - 128.s doi: 10.1016/S0990-7440(00)00142-X. Aschan, Michaela. Spatial variability in length frequency distribution and growth of shrimp (Pandalus borealis Krøyer 1838) in the Barents Sea. Journal of Northwest Atlantic Fishery Science 2000; Volum 27. ISSN 0250-6408.s 93 - 105.s doi: 10.2960/J.v27.a9. Aschan, Michaela. Changes in softbottom macrofauna communities along environmental gradients. Annales Zoologici Fennici 1990; Volum 27 (4). ISSN 0003-455X.s 329 - 336. Aschan, Michaela. Soft bottom macrobenthos in a Baltic archipelago : spatial variation and optimal sampling strategy. Annales Zoologici Fennici 1988; Volum 25. ISSN 0003-455X.s 153 - 164. Ytteborg, Elisabeth; Telfer, Trevor; Papandroulakis, Nikos; Álvarez-Salgado, Xosé A; Pranovi, Fabio; Aschan, Michaela. EAS2050 According to Climefish. Aquaculture Europe 2017 2017-10-17 - 2017-10-20 2017. Planque, Benjamin; Aschan, Michaela; Certain, Grégoire; Dalpadado, Padmini; Fossheim, Maria; Jørgensen, Lis Lindal; Primicerio, Raul. Ecosystem Resilience, What is it and how can we measure it?. PICES Annual Conference 2016-11-07 - 2016-11-11 2016. Wiedmann, Magnus Aune; Aschan, Michaela; Certain, Gregoire; Dolgov, Andrey; Greenacre, Michael; Johannesen, Edda; Planque, Benjamin; Primicerio, Raul. Functional diversity of Barents Sea fish. ICES Annual Science Conference 2012 2012-09-17 - 2012-09-21 2012. Planque, Benjamin; Certain, Gregoire; Primicerio, Raul; Michalsen, Kathrine; Jørgensen, Lis Lindal; Aschan, Michaela; Dalpadado, Padmini; Skern-Mauritzen, Mette; Johannesen, Edda; Kortsch, Susanne; Wiedmann, Magnus Aune. Ecological resilience for ecologists. ICES CM 2012/A:20. ICES Annual Science Conference 2012-09-17 - 2012-09-21 2012. Planque, Benjamin; Certain, Gregoire; Michalsen, Kathrine; Wiedmann, Magnus Aune; Kortsch, Susanne; Jørgensen, Lis Lindal; Primicerio, Raul; Aschan, Michaela; Dalpadado, Padmini; Skern-Mauritzen, Mette; Johannesen, Edda. Ecological resilience research in practice: the experience of the Barents Sea Ecosystem Resilience project (BarEcoRe). ICES Annual Science Conference 2012-09-17 - 2012-09-21 2012. Aschan, Michaela; Fossheim, M; Primicerio, Raul. Changes in the Barents Sea fish community induced by environmental change and fishery. ICES Annual Science Conference 2009-09-21 - 2010-09-21 2009. Fossheim, Maria; Johannesen, Edda; Primicerio, Raul; Aschan, Michaela. Spatial variation and structural change of the Barents Sea fish community. ICES Annual Science Conference 2009-09-21 - 2009-09-25 2009. Aschan, Michaela; Koeller, P. Shrimp, the marine equivalent of the "cnary in the mineshaft". Polar Research in Tromsø 2009; Volum 1.s 3 - 4. Aschan, Michaela. Effects of fisheries and climate change on marine ecosystems in the North Atlantic. TransAtlantic Climate Conference 2008-04-07 - 2008-04-08 2008. Aschan, Michaela; Powles, Howard; Bannister, Colin; Hough, Andrew; Knapman, Paul. Public Certification Report for the Canadian Northern Parwn trawl fishery, Shrimp Fishing Areas 5, 6, 7. 2008. Aschan, Michaela; Powels, Howard; Bannister, Colin; Hough, Andy; Knapmann, Paul. Public Certification Report for CANADIAN NORTHERN PRAWN TRAWL FISHERY Shrimp Fishing Areas 5, 6, 7/V5. 2008. Aschan, Michaela; Powels, Howard; Bannister, Colin; Hough, Andy; Knapman, Paul. Public Certification Report for CANADIAN NORTHERN PRAWN TRAWL FISHERY Shrimp Fishing Areas 13, 14, 15/V5. 2008. Aschan, Michaela. Effects of Fisheries and Climate Change on Ecosystems in the North Atlantic. Trans Atlantic Climate Conference 2008-03-07 - 2008-03-08 2008. Aschan, Michaela; Trannum, Hilde. Community structure and species biodiversity in benthic fauna in the deeper Barents Sea. ICES Annual Conference 2007-09-19 - 2007-09-23 2007. Aschan, Michaela. Status of Pandalus borealis resources. International Coldwater Prawn Forum 2006-11-16 - 2006-11-17 2006. Heide, Morten; Aschan, Michaela. Forekomst av svarte hoder i reker, Pandalus borealis. Spørreundersøkelse i fiskeflåte og industri. (fulltekst) 2002 (21/2002) ISBN 82-7251-504-0. ISSN 1890-579X. Hansen, Hege Øverbø; Aschan, Michaela. Maturity stages of shrimp (Pandalus borealis Krøyer 1838. Method for classification and description of characteristics. (fulltekst) 2001 (8/2001) ISBN 82-7251-472-9. ISSN 1890-579X.